The 2016 IKEA catalog arrived a couple weeks ago and there's lots to be excited about, primarily the soon-to-be released SINNERLIG and SITTNING collections!! 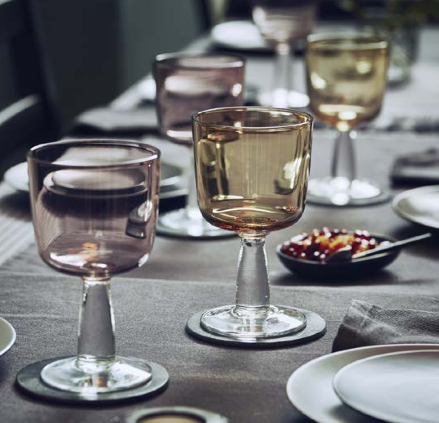 Similarly impressive, the SITTNING collection is a line of serveware made from natural materials (stone, acacia, glass and cotton) and is available for a limited time come September 2015. At a price point of $4.99 each, I might hoard myself a large batch of these pretty stone tea-light holders.